“I just want to say how proud I am to be a part of a community that celebrates diversity and individuality." 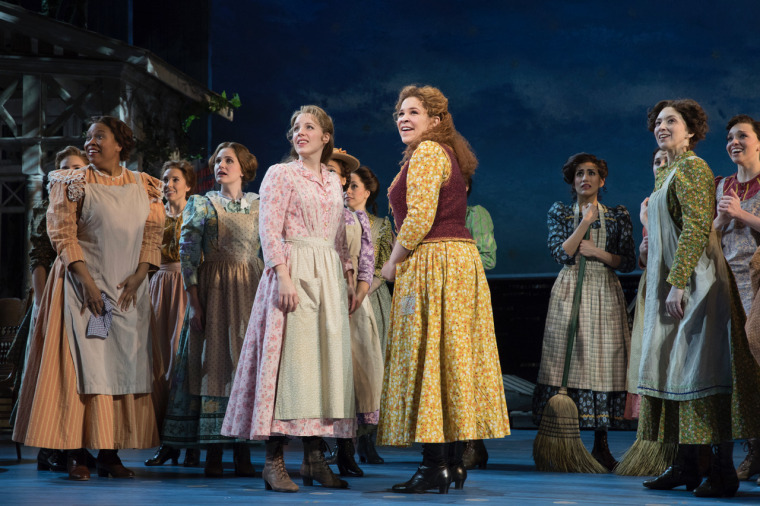 A joyous Lindsay Mendez took to the stage Sunday night at Radio City Music Hall to accept a Tony Award for her role in Rodgers and Hammerstein’s "Carousel" on Broadway with a message that resonated for artists, especially those of Latino descent. Originally from Norwalk, California, Mendez is of Mexican and Russian Jewish descent. She joins a small circle of Latina Tony winners through the years, including Rita Moreno, Chita Rivera, Priscilla Lopez, Sara Ramirez and Karen Olivo. In advance of the Tony Awards, Mendez spoke with NBC Latino about initially learning of her nomination. A review from The Hollywood Reporter called Mendez “the revelation of this uniformly gifted cast,” while The New York Times praised her “expertly crafted and beautifully sung” performance. Mendez also won a Drama Desk Award and an Outer Critics Circle Award for her portrayal of Carrie Pipperidge. Ralph S. Opacic has known Mendez since she was six years old, when he directed her in a children’s summer theater program. “Even then, from the very beginning, her talent surpassed her age. Her voice was powerful, and so beautiful.” Opacic is founder and executive director of the Orange County School of the Arts, which Mendez attended before moving to New York to pursue her career. “She always knew what she wanted to do. She was fully committed to Broadway and the theater,” he said. Broadway actor and teacher Kirsten Wyatt has been friends with Mendez since they performed together on Broadway in "Grease." Chita Rivera received a Tony Award for lifetime achievement in the theater. Raul A. Reyes is an NBC Latino contributor. Follow him on Twitter at @RaulAReyes, and on Instagram at @raulareyes1.